“I have a place in my heart for the town,” Cliff Simonson said, speaking about Ojai in the aftermath of the Thomas Fire. The manager of the 1,000 acre Bentley Ranch, directly south of the City of Ojai on Black Mountain proved it in the harrowing week of December 4th as the fire raced through Ventura County. Over the course of several long days, he worked to create fire breaks, guide out of town firefighters on local geography and remove downed trees from service roads to allow telecom technicians to reach cell towers. The result was stopping the fire at the city boundary and continued cell service in the Ojai Valley. 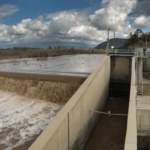 His experience was similar to many other ranchers, farmers, businesses and homeowners in the unincorporated area of Ventura County. While some were able to evacuate their homes, others had no time to leave or decided to stay and protect their property. Many credited proper brush clearance and agricultural land management as key reasons why their homes and buildings survived. But the entire Bentley Ranch is within a mapped wildlife corridor that could severely limit their ability to protect their land and the City of Ojai from wildfires in the future. For Richard and Bonnie Atmore, who manage the Rancho Ventura Conservation Trust, and live on adjacent private land, their brush management and grazing operations saved homes in Ventura. This included a 75 acre controlled burn on the land in 2017. 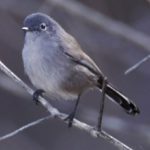 The 6,000 acres under their management support cattle grazing as well as abundant wildlife and contains their home, office, support structures and vehicles. Dozens of cattle, countless wildlife and multiple vehicles were lost in the fast-moving fire, although the Atmore family and the ranch foreman managed to save their home and office. In addition, their grazing operations reduced fuel loads above Foothill Road from overgrown brush, limiting the heat of the fire as it blazed through the area. This defensible space allowed firefighters to protect homes north of Foothill Road between Barlow Canyon and Arroyo Verde Park. Brush management through cattle grazing also saved the iconic Two Trees overlooking the City of Ventura. The perfect scenario for the massive Thomas wildfire was created by the years of brush growth between wildfires, lack of controlled burns, the growth spurred by 2016’s record rainfall and the arrival of strong Santa Ana winds in December of 2017. 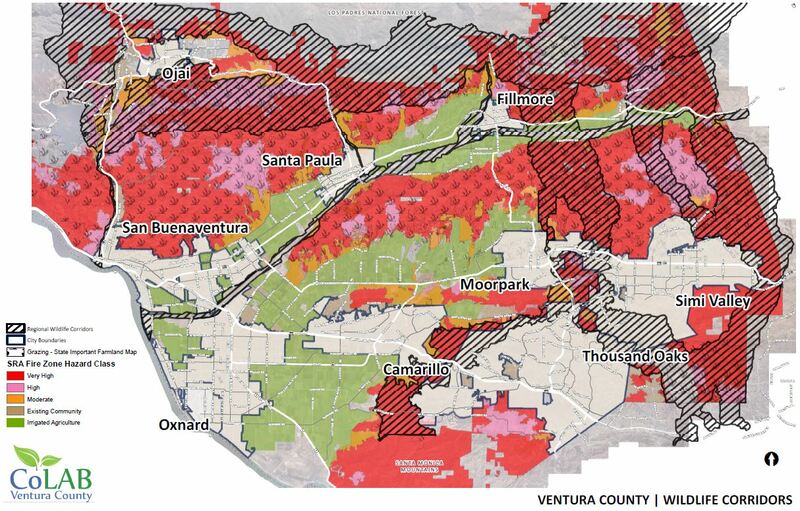 CoLAB has repeatedly raised red flags about the fire risks posed by proposed restrictions on brush clearance within identified “Wildlife Corridors” in a Habitat Connectivity Overlay Zone currently being written by the Ventura County Planning Division. Regulations within the Overlay Zone could also include restrictions on fencing, lighting, and noise. 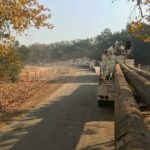 Post Thomas Fire, CoLAB believes that restrictions on brush clearance in these wildlife corridors will be dangerous to residents in both the unincorporated areas and cities in close proximity. County staff presentations on the topic have included restrictions on brush clearance in a wide variety of areas, including along ridgelines, adjacent to rivers and streams and near “critical landscape features” which could include bridges, underpasses and culverts. 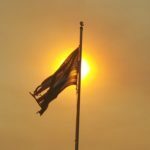 These restrictions would likely require discretionary permits that would further hamstring the County’s ability to control wildfires in cooperation with the private stewards of the land like the Atmore’s’ and Bentley’s. At a joint stakeholder meeting with Supervisor Kelly Long who notified landowners and residents in her district within the wildlife corridor, CoLAB presented a regional map showing the overlap between state designated high fire-risk areas of the county, state grazing lands and the wildlife corridor. The regional map (shown below) shows the wildlife corridor running straight through some of the highest fire risk areas in the county near major populated areas. 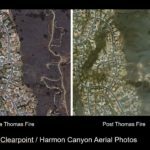 The potential for unmanaged brush to place populated areas of the county in danger was highlighted dramatically by the pace of the Thomas Fire burning through the county. Structures in the City of Ventura that burned were nestled against the hills north of the city and closest to unmanaged brush-covered slopes. The fire also surrounded the Ojai Valley and nearly cut it off from the rest of the county. 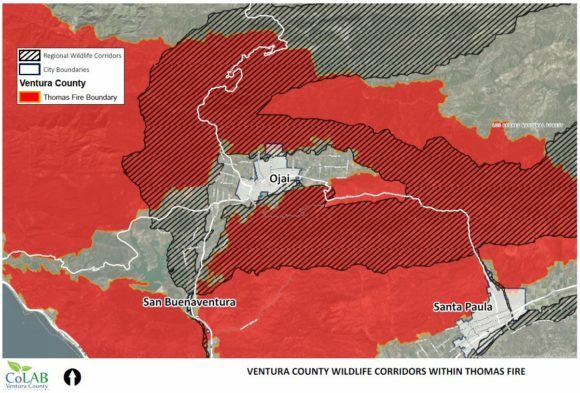 Maps of the Thomas Fire show how the wildlife corridor surrounds the Ojai Valley, and is coincident with the burned area (shown below). 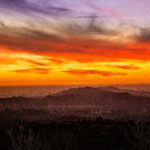 The Bentley Ranch is directly south of the City of Ojai and within the mapped wildlife corridor. 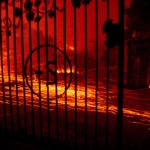 Without the ongoing land management and cooperative firefighting activities of the owners of the Bentley Ranch, the fire could have run through the City of Ojai. 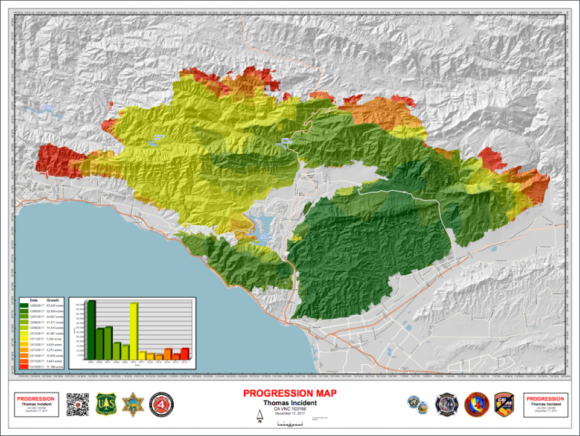 The Thomas Fire presents a dramatic wake-up call for the County of Ventura about the risk of greater fire danger posed by the Habitat Connectivity Project. As early as March, the project will be coming back to the Board for further input. This will be an excellent opportunity to remind the Supervisors about the importance of proper land management and allowing land owners to mitigate the fire risk through brush clearance and other preventative measures. Preventing a future Thomas Fire from threatening homes and property in Ventura County should be a top priority. By empowering farmers, ranchers and property owners to manage their land, we can make the destruction seen in December that much less likely from happening again.